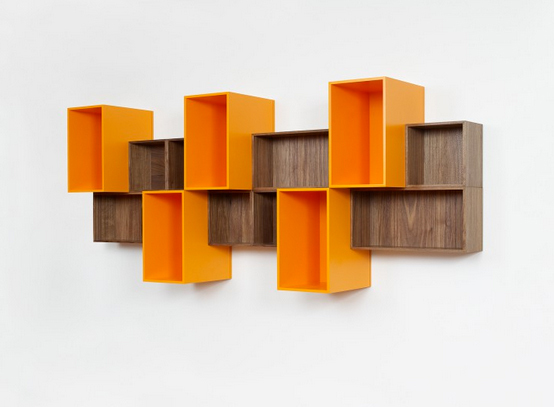 Space is no frontier when it comes to Cubit shelves. These units work for cramped apartments as well as generous lofts, and everything in-between. 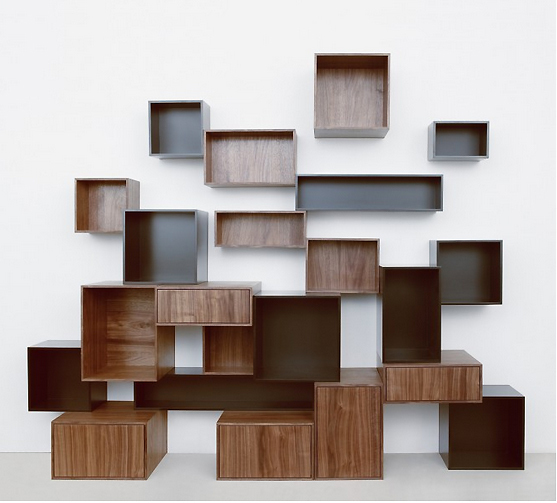 You can configure the completely modular individual units any way you see fit to create shelves that store records, books, DVDs, keepsakes, objets d’art, and more. 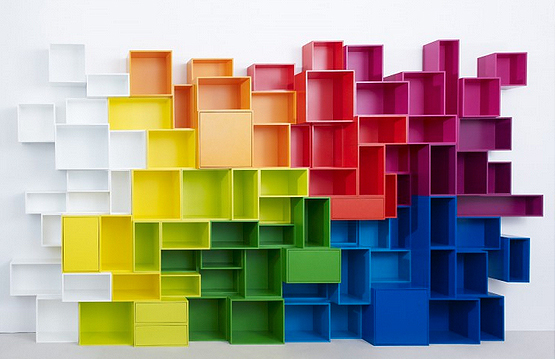 The modules can be the same size or not; it’s completely up to the user to pick from 28 units. 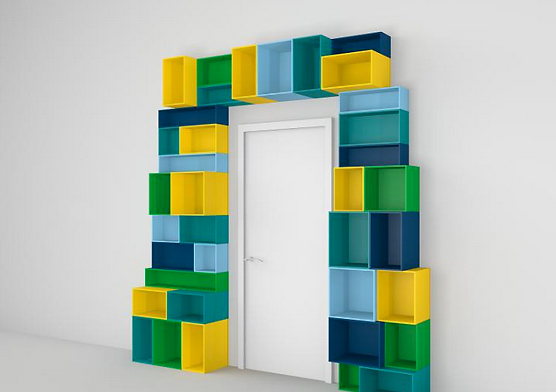 After all, the designer’s keyword is “freedom.” They attach via an “easy connect system.” There are variations for wall shelves, ones that fit into corners, doors, windows, small niches, vast spaces and beyond. The modules adjust to your space. 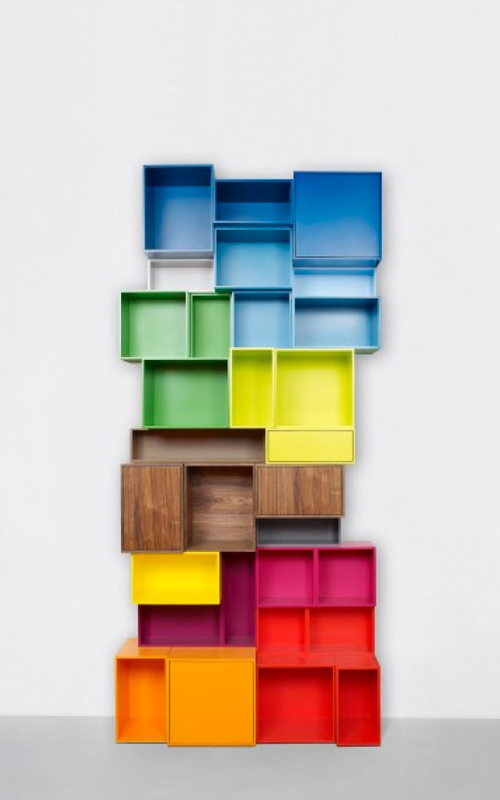 Choose from 17 colors including coral, white, black, Buddha orange and more, and four wood finishes like walnut and oak. Overwhelmed by the wealth of arrangement options? 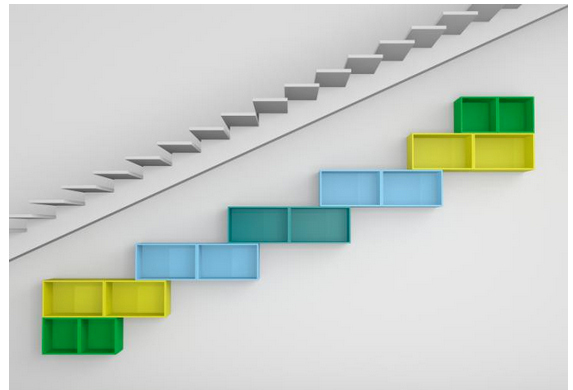 Use their design configurator to create your own ideal shelf configuration that fits your needs and home, whether below a narrow staircase, around a door frame, in a tight corner, or on a vast canvas of a wall. Cubit is based in Germany but ships internationally. 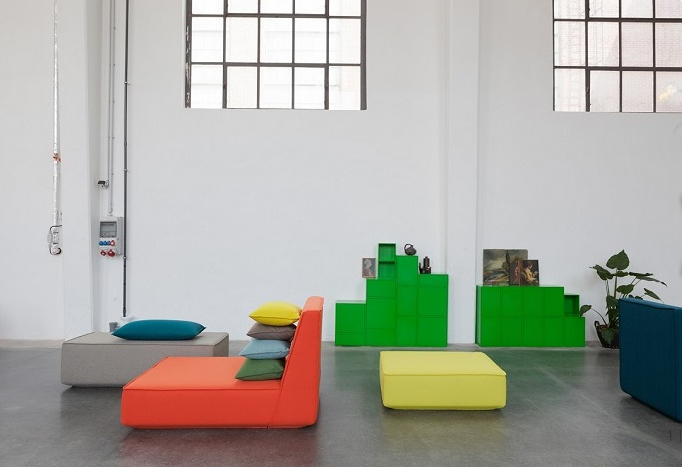 The company was nominated for the 2016 German Design Award for their modular sofas.